Every single time I approach to Playa Nicuesa Rainforest Lodge on the boat, I cannot avoid thinking, " Is this place for real? or Is it a creation of my own reality?". It is that magical. When you look at the ocean water, it just has a particular serenity and a certain tone of blue that simply takes my breath away. This place is unique, powerful and just like nothing I've seen before here or anywhere in the world. This is my second time retreating in Nicuesa as a yoga instructor and massage therapist, first in 2012 for three months and this year again. I cannot put into words the severe attachment I have for this rainforest paradise! I ABSOLUTELY adore this place. Being yoga teacher, a retreat and a tour leader myself, I have the possibility to travel to diverse countries and have been able to see quite a lot of my own as well, and Nicuesa is just my favorite spot. The place is pristine and lush, located in the outs courts of the Piedras Blancas National Park, you can imagine is the pure Kundalini energy of the earth itself, creation is all around you! Nature screams at you every single day, from the blooming of tropical colorful flowers, to being woken up by an orchestra of howler monkeys, sunset frogs and toads singing, scarlet macaws flying by you or bumping into a family of coatis just on your way to your room... If I am still not quite describing well how special it is... just imagine walking to the pier by the ocean shore and observing 280 degrees of stars while looking at the bio-luminescence present in the ocean water. So, if you want to re-connect with yourself and nature Nicuesa is just the perfect place for it! 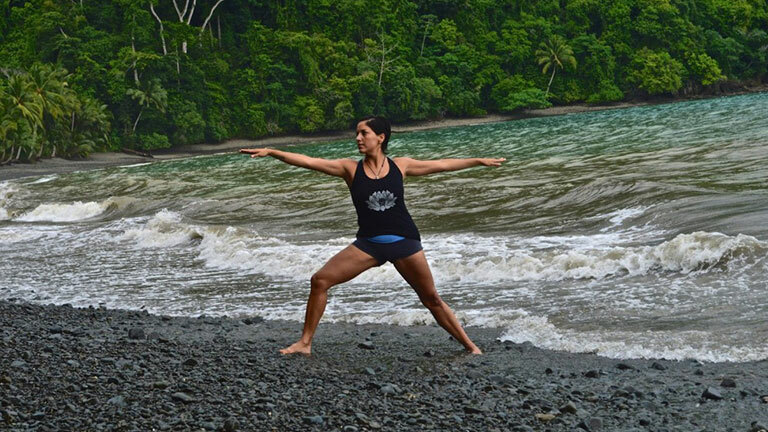 I adore teaching yoga at Nicuesa since it is usually small groups of people and makes it better for me because I can take more time to personalize the classes based on the client's needs and level of experience. The yoga deck, my office, is just an amazing spot right in front of the ocean water. There is no need for music in classes or during massages, when you have such a background of ocean sounds just right by you. It is very inspiring.Â If one takes a moment to stop and listen, there is unique beautiful sound created when the wave comes and then returns to the ocean, there is a moment there, where it hits all the rocks in the bottom of the shore and it sounds like a rainstick! So relaxing! 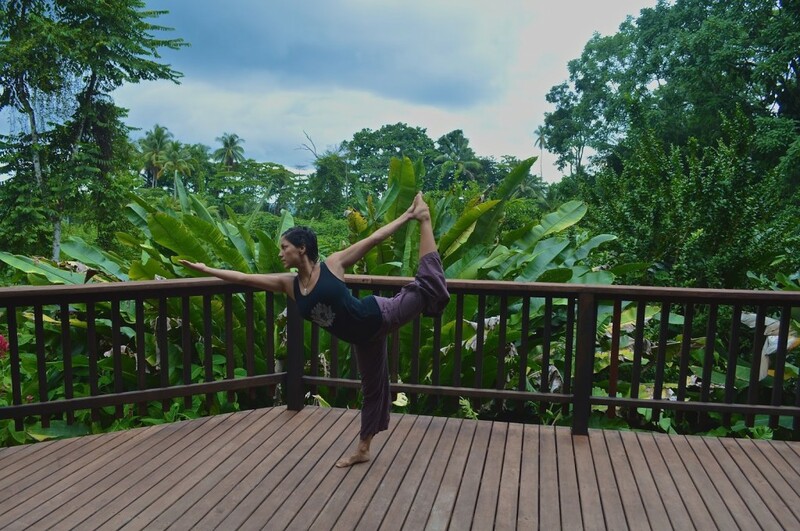 Besides the experience of teaching yoga and offering massage at Nicuesa, being able to live here even for some months has been absolutely a blessing for me. I feel like I am on retreat myself!Â Â I adore hiking up the loop trail! Quite a workout and amazing view!Â There are tons of trails and the rainforest is absolutely gorgeous! I love taking hikes or trail runs, taking a swim in the calm blue ocean, kayaking around, or just meditating in silence while observing this beautiful paradise. Being at Nicuesa for a while also entails living with a family, and I feel part of the family now. The staff here is amazing and kind.Â I feel blessed to have met this beautiful people! I hope to come back soon for another retreat and to charge my energies in the heart of the earth again!Â Love you Nicuesa & Thank for another transformational experience! See you soon!